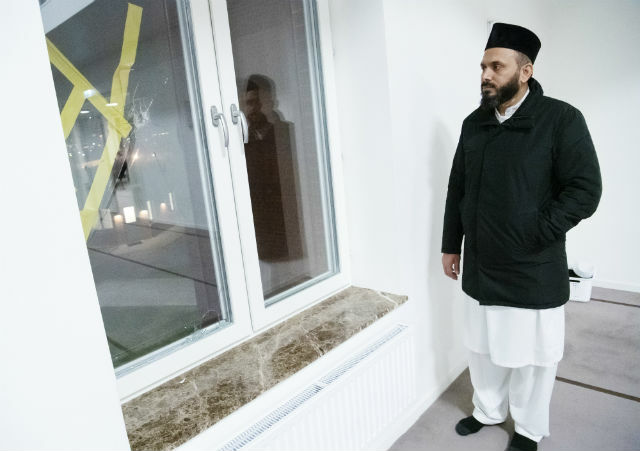 A shot was fired through a glass door at a Malmö’s Mahmood Ahmadiyya mosque, shortly after midnight on New Years’ Day, with police investigating the attack as a possible hate crime. But Rizwan Afzal, imam at the Mahmood Ahmadiyya mosque, told The Local that Malmö’s Ahmadi Muslim community had gone out as normal on New Year’s Day to clean up after the celebrations, hoping to show that their love for their fellow man had not been diminished. Yes, we do not hate the shooter, but would love to invite him for Tea and Cakes so that we can get to know each other.